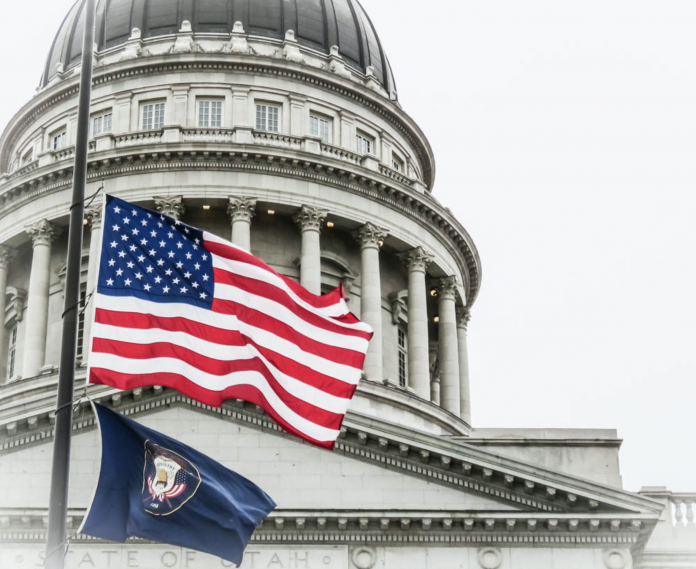 SALT LAKE CITY, Utah, Nov. 8, 2018 (Gephardt Daily) — Gov. Gary R. Herbert has ordered the lowering of the flag of the State of Utah and the flag of the United States of America out of respect for the victims of the shooting in Thousand Oaks, California. Flags should be lowered immediately and remain lowered until sunset on Saturday, Nov. 10, in coordination with President Donald J. Trump’s proclamation, said a news release from the Governor’s Office. Individuals and businesses are encouraged to fly the flag at half staff for the same length of time. Twelve people were killed and more than a dozen were wounded after a gunman opened fire at a Thousand Oaks bar and dance club late Wednesday night. Police say the lone assailant, identified as 28-year-old Ian David Long, shot his way into the Borderline Bar and Grill about 11:20 p.m., killing a bouncer and a cashier before firing into a crowd of about 200 people. Witnesses told police that Long, who was dressed in a black trench coat, threw smoke grenades onto the dance floor as he began began shooting with what was described as a semi-automatic pistol with an extended clip. Among the first killed was Sgt. Ron Helus, a 29-year veteran of the Ventura County Sheriff’s Office, who was close to retirement. Helus had just ended a phone call with his wife, telling her he was needed at a crime scene. Helus entered the bar, confronted the shooter, and was shot multiple times. Long, a Marine Corps veteran, ultimately turned the gun on himself, police say. He was found dead in an office area. Survivors of the attack described a scene of chaos as patrons piled on top of each other while trying to force their way through a rear exit. Others threw chairs, trying to break out windows in order to escape. Gephardt Daily is following this developing story and will provide an update as more information becomes available.